Now add to this the news about a possible swine flu pandemic from Mexico. You can imagine the kind of emails and phone calls I am fielding these days from visitors to my prophecy website. Sometimes callers are on the verge of tears in their anxiety over current events. Typically they have read conspiracy theories that convince them these normal events are actually signs of the “New World Order take-over”. But even if they have not, most have heard of the four horsemen of the Apocalypse. One of them includes “plagues” (Rev 6:8). And in the Olivet Discourse, Jesus prophesied “plagues...in every place” (Luke 21:11, Peshitta). Can this H1N1 swine flu be the fulfillment of these prophecies? Yes and no. Let's look at both prophecies and see where they fit in time. Likewise, in the Olivet Discourse Jesus declared to his listeners that many things must yet happen including wars and rumors of wars and yet the "end was not yet" or “won't come right away” (Mt 24:6-10; Mk 13:7-8; Lk 21:9–11). After those prelude events, he said only the “beginning of sorrows” would finally commence with earthquakes, famines, and pestilences. Luke 21:11 adds the additional detail of terrors and great signs from heaven to the rest of these beginning sorrows. Together they well summarize the 6th seal of Revelation which describes an indisputably yet future time when all these things significantly begin to happen at once (great earthquake, all grasses burned up and one third of the sun blocked resulting in famine and pestilences). This aligns the “beginning of sorrows/birth pains” with the future 6th seal through 4th trumpet preceding the Great Tribulation at the 5th trumpet. 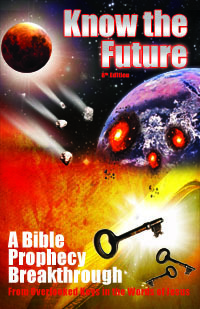 (See my newsletter archive and click Prophecy Pitfalls Part 2 to read all of this). Therefore we will not see the prophesied global plagues until the 6th seal (which is caused by Star Wormwood's passage). Thankfully we can be sure that this prophecy will not be fulfilled anytime soon. If you're not sure about this yourself then I encourage you to check out my book, Know the Future where this is proved straight from the literally read words of the Bible in clear and simple English. Revelation 6:7-8 (HCSB) — 7 When He opened the fourth seal, I heard the voice of the fourth living creature say, “Come!”, 8 And I looked, and there was a pale green horse. The horseman on it was named Death, and Hades was following after him. Authority was given to them, over a fourth of the earth, to kill by the sword, by famine, by plague, and by the wild animals of the earth. “Death and Hades” (Rev 6:8) = ? Therefore like the rest, this fourth horseman also fits a trend that began in the past, sometime after the first three horsemen. It describes the increased deaths that we have already seen in history from man's growing influence. As knowledge has increased man has made advances that have increased his negative impact on Earth. This is the same concept behind man-made global warming, that technology has so magnified man's sinful nature that it has changed the climate. Man's weapons are more effective resulting in more casualties of war. Famines are caused by many factors mostly happen to do with man's sinful nature—not just a shortage of rain. The same goes with plagues. It is said that the Jewish people did not suffer from the Bubonic Plague because of the health and quarantine standards they follow from the Old Testament. All of these problems compound together. It is no coincidence that the worst pandemic of the last century was in 1918, the last year of World War I. Fatigued soldiers in trenches and other close quarters gave the virus the perfect environment to spread and take the stressed population down. In other words, if this current flu outbreak is a fulfillment of any prophecy, it fits the historical trend that the Bible predicted with the 4th seal. Did Man, God or Nature Cause Influenza? Indeed, plagues have been with us throughout recorded history. Yet for most people in their short life experience, these events are the first they have seen. With no frame of reference or understanding of history, they entertain some pretty wild conspiracy theories about why they are happening. Some think man has engineered these viruses. Others say these viruses are God's judgment. In my research I have uncovered several insights that will help determine the most probable and least terrifying cause. We can even recognize plagues from up to 400 years ago as influenza. But even 1918 was long before genetic engineering was invented, and that was the worst of the last three influenza pandemics. Of course, I cannot rule out genetic engineering as a cause. But if the worst pandemic we know of was before genetic engineering was invented, it casts a doubt on the genetic engineering theory or whether genetic engineering should be feared more than nature. As for the idea that this is a judgment from God, we must remember that God's judgment has a narrow range of meaning (as covered in my last article). When it happens, you do not have to wonder if it was God or not. When fire and brimstone fell on Sodom killing everyone, it was obviously God's judgment. When rain fell for the first time in history to bring a global flood according to Noah's warning, there was no mystery about who caused it. 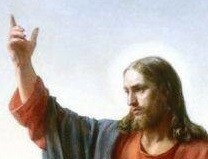 When the ten plagues fell on Egypt, even Pharaoh's magicians finally had to admit “this is the finger of God” (Ex 8:19). Unlike those events, there is nothing supernatural about an economic crisis or a flu pandemic. We can find similar events in history and explain them from natural causes. This may sound like common sense, but judging from the conversations I have had with people since the economic crisis and swine flu pandemic began, it is not obvious to everyone. They cannot discern the conspiracy theories or false prophetic words out there that ascribe these natural events to diabolical men or spirits. This is no doubt because we are all at different levels of growth and coming from different experiences. What is common sense to one is news to another, especially the young and unexperienced. When I turned 40 recently, I finally understood the truth of the expression, “life begins at 40”. It seems like it took me that long to learn how to to navigate around enough of the scams, pitfalls, unwise choices, dead ends, bad habits and wrong belief systems in the world that stand in the way of consistent success and happiness. I think it is no coincidence I was able to retire from my programming career and focus on writing articles like this for my website since age 40. They think that if a virus mutates, it's an evolutionary event. Well, the virus is mutating because that is what viruses and other pathogens do. But evolution is not just random mutation. It is random mutation coupled with natural selection; it is a battle for competitive advantage among different strains generated by random mutation. For bird flu to evolve into a human pandemic, the strain that finds a home in humanity has to be a strain that is both highly virulent and highly transmissible. Deadliness has to translate somehow into popularity; H5N1 has to find a way to kill or immobilize its human hosts, and still find other hosts to infect. Usually that doesn't happen. Therefore it is difficult for a virus to be both deadly and highly contagious. If it kills its victims effectively it has a harder time spreading to new victims. This should be kept in mind as you listen to the media reports on this and future flu pandemics. Did you notice the decreasing trend of fatalities from influenza pandemics of the last century? Improvements in medicine have diminished influenza's impact. Back in 1918, vaccines were primitive at best, there were no antibiotics or mechanical ventilators so even simple infections killed people (which is typically what kills influenza sufferers, not the virus). Thus, despite the population of the world increasing, with modern medicine and technology, flu pandemics have taken less lives. This realization alone should reduce our fear of the flu. It comes as no surprise therefore that the few in Mexico who have died were mostly from very poor backgrounds. In general, the poor eat less healthily and have less access to medical care. This is another clue for us on how to not be a victim of the H1N1 swine flu. If you can afford to, it would be a good idea to invest in better foods and supplements to boost your health. Dr Mercola has a list of supplements he recommends for the flu (along with his own insights on the swine flu pandemic). What about vaccines? Besides the fact that they are expensive, the last time there was a swine flu breakout the vaccine killed more people than the virus did. Even Time magazine has an article mentioning the mistakes of the past swine flu outbreak of 1976. Dr. Russell Blaylock had firsthand experience with the 1976 outbreak in which he refused to take the vaccine. Here is his story. I was in the military during the first swine flu scare in 1976. At the time it became policy that all soldiers would be vaccinated for swine flu. As a medical officer I refused and almost faced a court martial, but the military didn’t want the bad publicity. Despite the assurance by all the experts in virology, including Dr. Sabin, the epidemic never materialized. I realize that my advice above about not taking the flu vaccine will seem risky to many. Most people trust modern medicine to give them the best advice and tools available. If the government, medical field and CDC think creating and distributing a vaccine is the best approach then how can the average person disagree and be right? The reason I personally feel confident in this advice is because of my past “adventures in health”. I learned from them that regular people can know better than their doctors on what is right for them. I also gleaned a secret health tool against the flu in the process. I was diagnosed with ulcerative colitis when I was 22 (a gastrointestinal inflammation). My doctor told me there was no cure and that diet makes no difference. He said that I would have to take medication for the rest of my life to suppress the symptoms. Idealist that I am, I was not satisfied with that prognosis. So I took matters into my own hands and began to investigate into health. What I found was that people had indeed overcome my condition without medication. They did it through adopting a biblical whole food vegan diet and through fasting (which is also biblical). In fact, I read that people recovered through just about any condition you can name through dietary changes and extended fasts. Even “incurable” diseases. So I decided to try it (with supervision—I do not recommend fasting without expert care). I fasted to calm down my colon inflammation. I don't remember how many days it was, but it made a huge difference. And then I changed to a diet of much more raw and whole foods than the standard American diet (SAD) consists of. The result was I was able to wean myself off the anti-inflammatory medication I was prescribed and have better health than ever before. I even went back to the doctor and told him what I did to get off the meds. His response was that “it could not have been my diet change”. Yet as time went on I found that if I stayed on my new healthier diet, I could be free of meds and symptoms indefinitely. If I fell off the wagon and cheated, I would experience a return of symptoms soon enough. Going back to fasting and raw foods would then bring me back to health again. Over the years I probably have yo-yoed more than Oprah Winfrey has with her weight. Although this is less than ideal, it did confirm for me beyond any doubt what works and what does not. Fasting and the ancient vegan diet outlined in Genesis 1:11 bring superior health and freedom from disease compared to the standard cooked and processed foods that people consume in modern times. Does this have any application to influenza? If you study what is commonly taught on how to beat or recover from the flu, the conventional wisdom is to “drink plenty of fluids” with nary a word about what to eat. The only dietary advice you might hear is to have “chicken soup”. But if I ever caught the flu, I would not do that. I would immediately start fasting with confidence from past experience that it is the fastest way to recover. If you want proof, check out the book Fasting and Man's Correct Diet by R. B. Pearson. It was written the year after the 1918 influenza pandemic. On pages 48-50 Pearson relates some interesting data about death rates by doctor type: allopathic/drugging doctors vs. alternative doctors (those who used fasting and enemas, such as chiropractors and osteopaths). The allopathic doctors had a death rate of around 14%. The alternative doctors had a fraction of the death rate less than 1% and in some cases zero deaths out of 1500 cases! Of course, that is not the only reason we as believers should look into fasting. Jesus clearly expected his disciples to practice fasting just as John's disciples and the Pharisees did (Lk 5:33; Mt 6:16). It should be regular part of our life along with prayer and Bible study because it draws us closer to God. Sadly, few believers today practice it just as they do not read the Bible or pray as much as they should. I will be honest and admit if it was not for my health condition, I probably would not be a habitual faster either. When we pray for God to guide your life, he has a way of giving you additional (sometimes unpleasant) reasons to do what we already should be doing. I am convinced that my health issue helped to answer that regular prayer of mine. Perhaps this flu epidemic will be used by God to lead the reader to rediscover and practice fasting for themselves. If you are not already a faster and admit you should be, I recommend you take action on it now. You never know when you might need to fast. The 1918 pandemic had a lull before the much worse second wave hit. This flu can have multiple waves as well. If a worse second wave hits during flu season and you catch it and need to fast, you will be glad that you already have experience and practice fasting. By the way, God made sure that his people would have this experience and knowledge by commanding them to fast on Yom Kippur every year. I used to keep this fast day when I attended the WCG and I still fast on the Day of Atonement every year. With all my experience fasting and natural diet, it has always been easy for me. But that was not the case for people who only fasted the one day per year. I noticed that most would complain of headaches that day (especially coffee drinkers). The sooner you start your fasting habit, the sooner it will be no big deal for you to fast either when called upon. Start with a prayer to God admitting your negligence and ask him for help to repent in this area. Then take action immediately. I would begin by reading this very well written book about one man's fast of 42 days. Then continue to research on the Internet and start slow by skipping meals and work up to an entire day of fasting. In your research you will find fasting has one other benefit of special interest to believers like us: life extension. Several of the Bible heroes had above average life spans for this reason. The prophetess Anna from Luke 2 was said to be always in the temple praying and fasting. When she met baby Jesus during his visit to the temple on the eighth day, her age was given as a minimum of 103 (if you assume she married at the earliest marriageable age of 12). That's a very impressive age for those times (Luke 2:36-38). I share this final point because so many older readers of my book have lamented that they feel they will not be around long enough to see the Messiah's Second Coming. A person in their 60s recently told me this. But 60 does not have to be old age. It can be middle age if you apply all the wisdom that is available today free on the Internet about life extension. If you are like me, you do not want to let anything stop you from “escaping all these things and being able to stand tall before the Son of Man” when he comes (Luke 21:36).